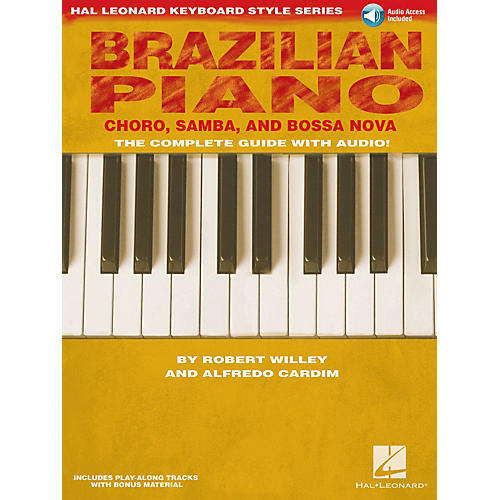 Brazilian Piano teaches elements of some of the most appealing Brazilian musical styles: choro, samba, and bossa nova. It starts with rhythmic training to develop the fundamental groove of Brazilian music. Next, examples build up a rhythmic and harmonic vocabulary that can be used when playing the original songs that follow. Besides providing tracks for the examples in the book, the online audio contains ensemble recordings that allow you to improvise through the middle chorus. Additional versions of the ensemble tunes are included in the online media available through the My Library feature, accessible via computer. Features artist interviews and bios.